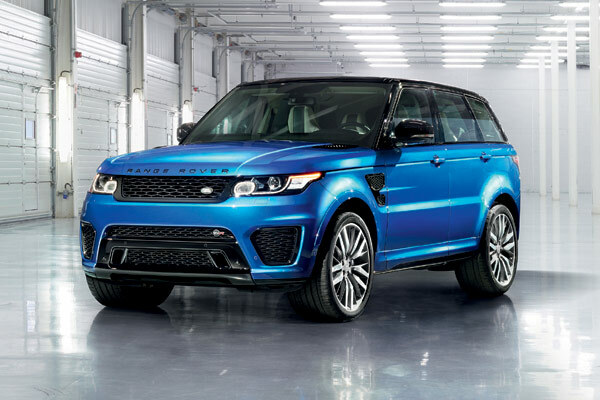 Land Rover has revealed its much-anticipated Range Rover Sport SVR a few days ahead of its scheduled debut at the 2014 Pebble Beach Concours d’Elegance, and boy does it deliver on its promises. Its 5.0-liter, supercharged V-8 pumps out 542 horsepower and 502 pound-feet of torque, which add up to a 32-horsepower and 41-pound-feet gain over the current range-topping V-8. 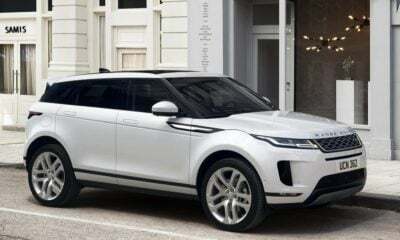 Land Rover went beyond just upgrading the engine, as it also re-tuned the ZF eight-speed box and standard all-wheel drive to make the best use out of the added power. These improvements net the Range Rover Sport SVR a 0-to-60-mph sprint time of 4.5 seconds and a top speed of 162 mph — 0.5 seconds quicker and 22 mph faster than the 2014 Range Rover Supercharged’s advertised times. It also lapped the famed Nϋrburgring in just 8 minutes and 14 seconds, making it the fastest production SUV around the `Ring. As standard, the Range Rover SVR comes with 21-inch rollers slathered in 275/45R21 rubber, while optional 22-inch wheels with 295/45R22 tires are also available. An upgraded suspension with aluminum construction, an aluminum monocoque, enhanced steering and Active Roll Control all help out to allow the Range Rover Sport SVR to hold a supercar-like 1.3g on the skid pad. This performance suspension system and sticky rubber don’t negate the RR Sport SVR’s off-road capabilities. The suspension has a ride height that is adjustable from the access mode’s 55 mm (2.16 inches) to an off-road-ready 235 mm (9.25 inches). On top of these ranges in ride height, the RR Sport SVR’s wheels can travel up to 260 mm (10.23 inches) up front and 272 mm (10.71 inches) out back. There are also six Terrain Response 2 settings for all sorts of terrain, including General, Dynamic, Grass/Gravel/Snow, Mud/Ruts, Sand and Rock Crawl. It goes without saying that the new Range rover Sport SVR is primed to redefined the realm of performance SUVs.